For Nintendo fans who love The Legend of Zelda you will find that there is a lot of branded merchandise to buy. The Zelda series has everything from cups to blankets to decorate your house with and games on every Nintendo console you can think of. The beloved series even has a tv series from the 80’s that fans consider a cult classic. The series over the years has come out with several manga books that contain the stories of quite a few of the main games. 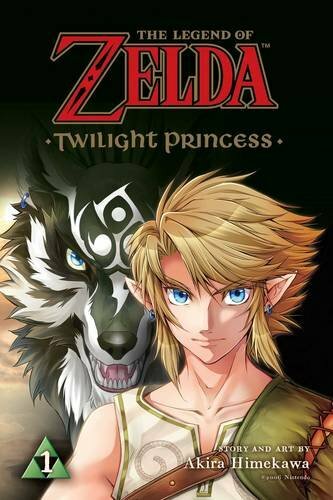 Twilight Princess one of the arguably most popular entries in the franchise has been missing from the lineup, however. Now there seems to be a ray of hope as a manga of the game has been released overseas and Amazon has an english edition up for pre-order on their site. The story is noted for being in a darker style than previous entries in the series and contains a unique style of artwork. The one book looks to contain the whole story in a single volume and will retail for around $9.98 USD. The book will contain slight variations from the game and will be a quicker read leaving out a few scenes from the game. You can pre-order the manga here.